Our sporting literature from back east is replete with descriptions of old abandoned homesteads being reclaimed by the wild. While fading quickly, old man-made improvements are still evident because of the countless stone fences built by the hardy settlers, the cellar holes where the homes used to be, and the abundant apple orchards grown wild. Johnny Appleseed definitely laid the foundation for many good, secret grouse coverts and great hunting stories. For the hunter, these old homesteads carry with them intrigue, mystery, and sometimes sorrow. Great writers of the past have repeatedly capitalized on this in their stories. Two of my favorites in this vein are “Ghost Grouse” by Burton Spiller and Corey Ford’s “The Road to Tinkhamtown.” There is an undeniable supernatural connection one feels with the past when experiencing such places. This old home lies right on the edge of a huge walk-in area. 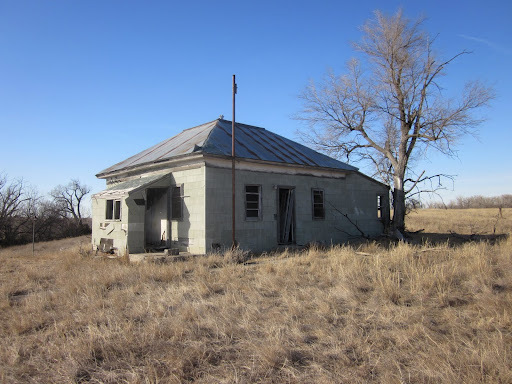 The old timers built the home right at the base of some sand sage hills. Looks like paradise to this bird hunter. 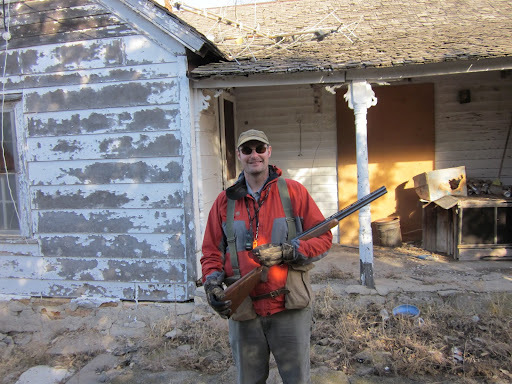 While I have never been grouse hunting in such a covert back east, I recently experienced something quite similar in Kansas. 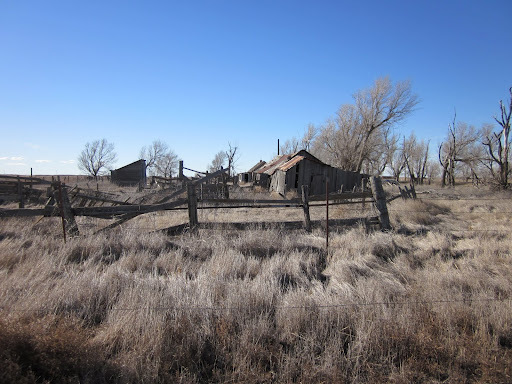 During my hunting trip last January, I was amazed at the numerous abandoned homesteads scattered through the prairie. With the wide open vista, these homesteads seemed much more evident than the secretive coverts you read about back east, but still every bit as haunting. 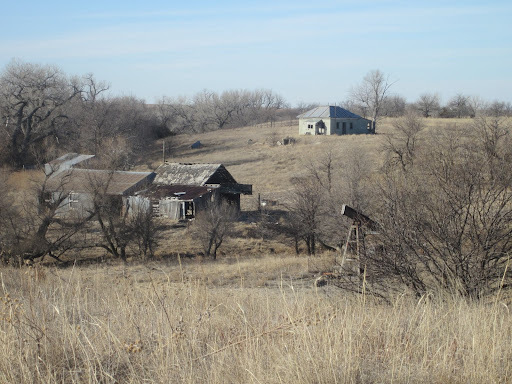 They made me reflect on those who struggled to make a go at it in Kansas, the environmental tragedy of the Dust Bowl that plagued this area, and the exodus of many of the people to greener pastures. No doubt, life was different then than it is today, much harder in some ways, but definitely simpler in others. While I experienced some sadness for these people, I mostly felt respect for them and honored to see the fruits of their labors and the simple beauty of the places they settled. This home was built with a foundation made from rock carved from the surrounding landscape. As the good book says: The wise man built his house upon the rock. 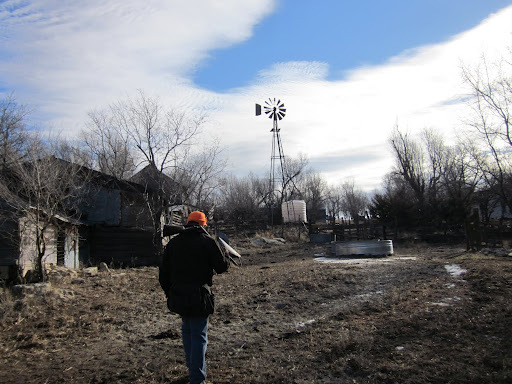 The fact that these homesteads are slowly returning to the wild and are oftentimes occupied by coveys of bobwhite quail also gave me great comfort and hope for the future. Nature is so resilient and will rebound if we just give it a chance. I’m sure that the former owners of these haunting homesteads would approve of the new occupants, “gentlemen” by all accounts. 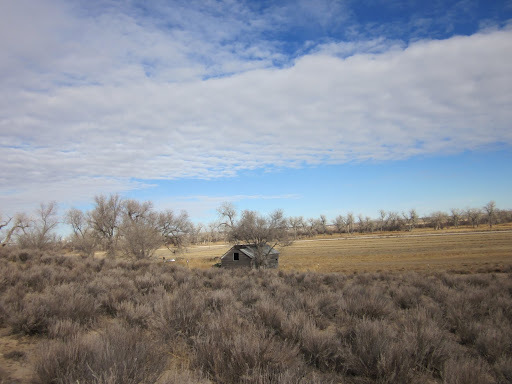 This old homestead is home to a nice covey of quail. Their presence somehow makes such lonely places inviting to the hunter. When I first saw this homestead in its wooded draw in the first light of the morning, I thought I had died and gone to heaven. What a place! Life goes on, my friends. To sum it up, Kansas is a place that reinforces my belief that there truly is a Heaven. Of all the homesteads, this was my favorite. A city set on a hill cannot be hid . . . Thanks. Awesome account! And here I thought I had made the transition to fly fishing. My mind, it's in a tizzy. thats a great pictorial. i love them, but the sad part is up here in the northwoods, they ussually turn out to be very well hidden, and even found one posible meth lab!